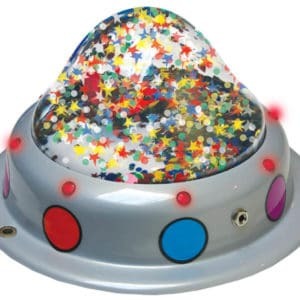 Adapted sensory toys for kids with disabilities. 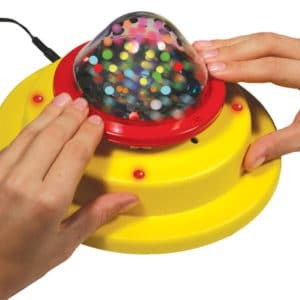 Fun switch enabled toys filled with glitter that play music and vibrate. 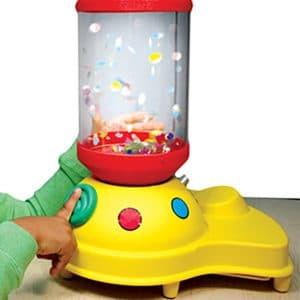 Every special needs child will want to reach out and play with these exciting products. Great for special education classroom and OT practices. Bright lights, dazzling glitter and lively music make this one of our most exciting capability switches. PLEASE NOTE: This item ships Ground only. 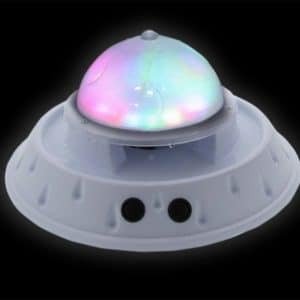 A sensory experience, our Saucer Dome unit rewards users with swirling glitter, music, lights and vibration when they press the dome’s rim. Original Price: $125.95. FINAL SALE – NON-RETURNABLE.